Students must use their powers of deduction to correctly guess the secret sentence in this fun speaking activity. This game can be adapted to any grammar point or topic. 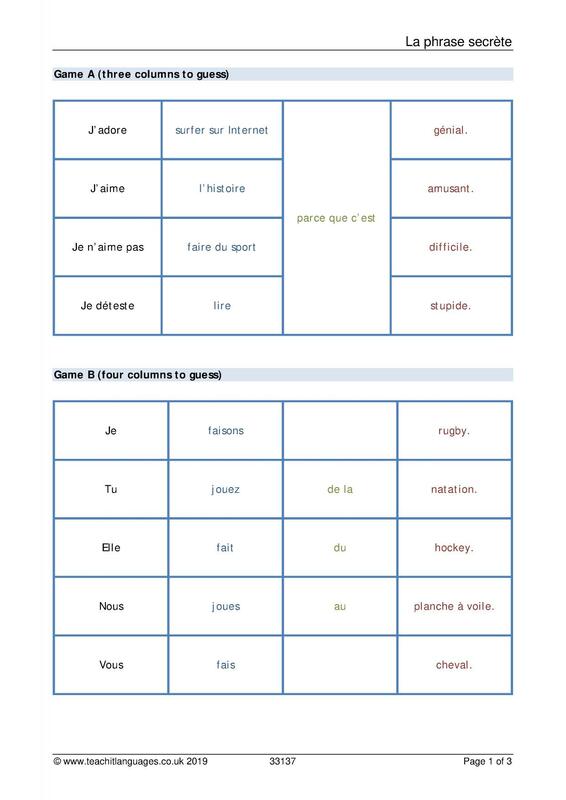 Three example grids are provided, along with a template, to be adapted as required.